The Map-making is scheduled to go on till 2 pm at this very own place. We are about to take off from the venue. Keep an eye on our site for more updates and a featured article. While the roads are being added, they are being reviewed and approved as well. Simultaneously. Google Power Mapper, Dihan Perera is here as well. He guides the chaps here. One should draw few pointers as much as possible while doing so that it can be edited in the future if needed to. Directions will only work in public roads. Roads will be drawn only if the road doesn’t exist on the Google Map. One of the mapmaker member wi demonstrate it to the students ho to draw a road on maps and what precautions should be considered while doing so. We are back after the refreshments. We are about to start the 2nd session. in where the students will map the roads. A small refreshment break will be taken now. Everyone seems to be running out of places to add on the map. 2008 batch students here as well, including Rashmika, Google Student Ambassador. Students have to recognize the institutes from the satellite images, pin point with the marker, Get the proper information for it from the Database provided to them. And then later after these new locations will be reviewed by one of the present Google Members here to be approved. Students are divided into group so the map-up would be effective since they know their religion than others. Google Maps, Google Maps everywhere. ” This is not just another map-up. This is special to us because School students are using technology to promote religious harmony. 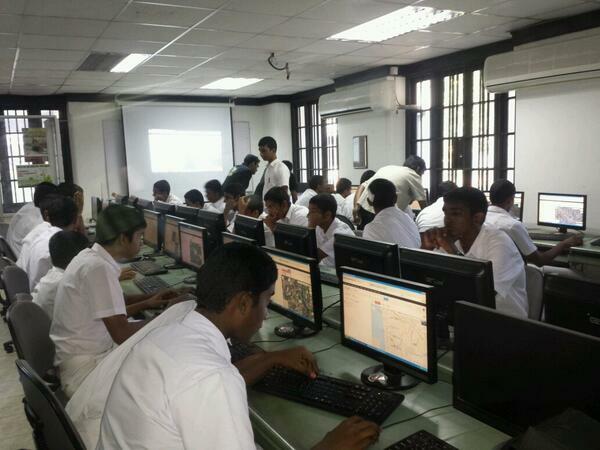 This is also the first time a map-up has come to a school level.” – Rohan Jayaweera, country consultant Google Sri Lanka shared with us. Places are being added and sorted with categories. So, this is what is happening now. 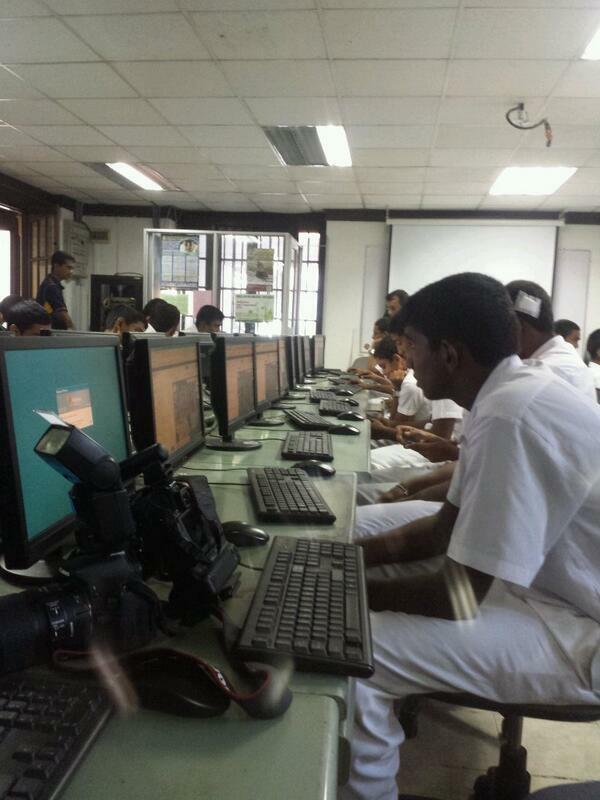 a group of people not more than 20 are here gathered in the ICT room of the college and are into the job. They will be searching for religious institutes on the map via satellite view and then marking them. They already have a pre-made database from which they will be adding as well. digit team here. Live from Royal College premises where the Prefects Council is mapping all the religious institutes on the map.